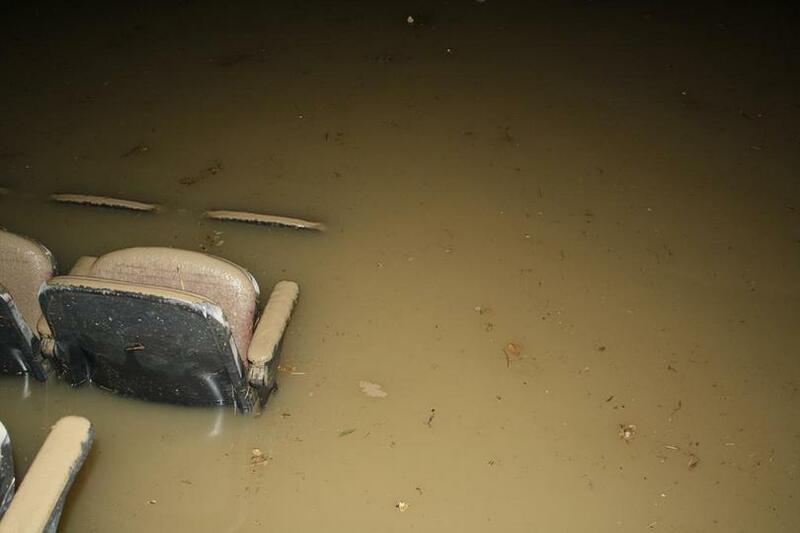 Yesterday, I offered my own flood story, so today I thought that I would focus on the Calgary Flames. 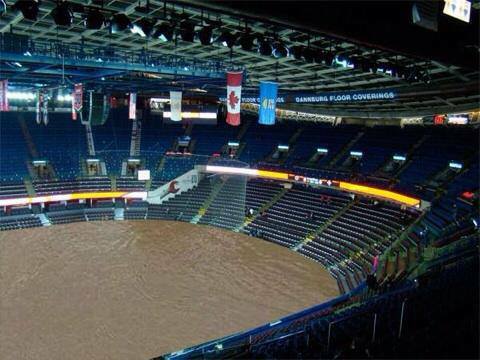 Here's what I believe the flood will mean to the teams who play in the currently-submerged Scotiabank Saddledome. The flood caused extensive damage to the Saddledome, which is the home of the Calgary Flames as well as the WHL's Calgary Hitmen and the Calgary Roughnecks lacrosse team. 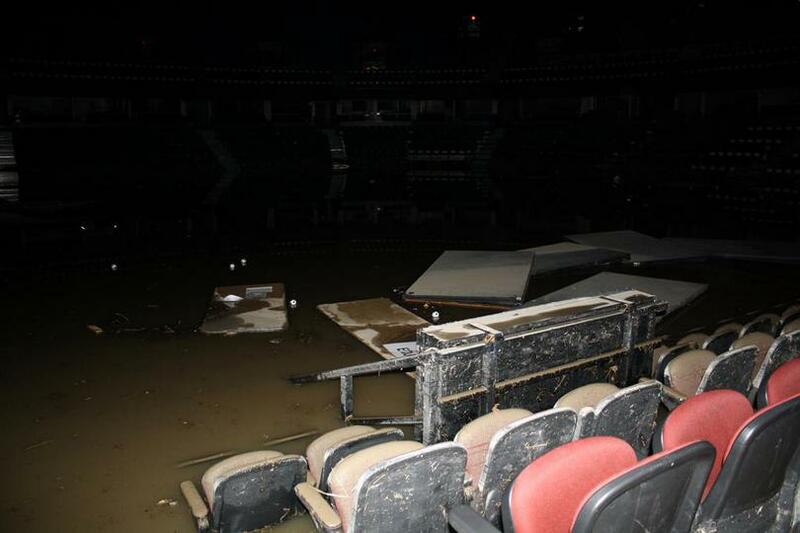 The Flames' dressing room was submerged, irreplaceable records and memorabilia were destroyed, and the arena itself was flooded up to the 8th row. Here are some photos posted by the Flames. On the bright side, Calgary has an opportunity to stage naval battles (as the Roman coliseum did in antiquity) as part of the Stampede festivities. This scene makes the "Swamp of Sadness" from The Neverending Story seem like paradise. The owners hope to have the Saddledome cleaned up soon for upcoming events, but right now the only show opening is the Elbow River's "debris derby." The murky water hides the slimy sediment underneath the flood. 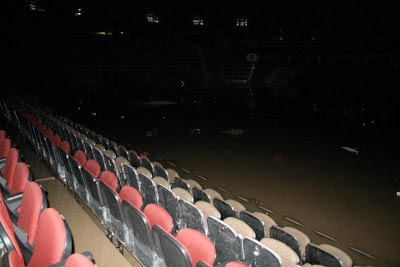 Based on clips of Calgarians trying to salvage their property by cleaning up this sludge, I think that it's safe to say that this pictures don't fully capture how much of the arena and its contests are irredeemably damaged. 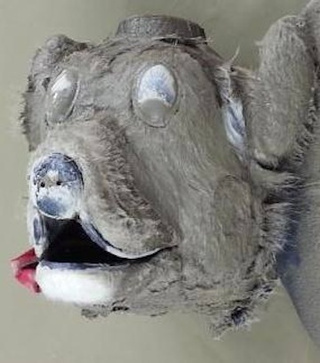 Even more frightening for the crew trying to drain the inundated Saddledome was the sight of Harvey the Hound's head bobbing up and down in the flood. 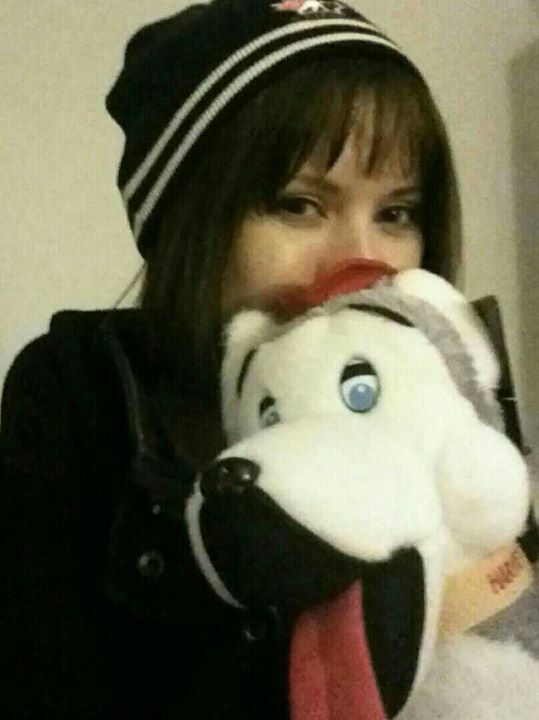 In case you're unfamiliar with the Flames' mascot, here's a replica of Harvey posing with his #1 fan (Heather). If you think that I'm comfortable enough in my relationship not to feel threatened by an acrobatic, humanoid dog, then you probably didn't see my petition to rename this mascot, "Harvey the Home-wrecking Hound." Eric Francis updated Flames fans on Harvey's status yesterday. No one knows why Harvey, a former "first pound pick" by the Flames in the 1983 NHL Entry Draft, was beheaded by the torrent. Some might see this event as nature finishing off what the Edmonton Oilers's GM Craig MacTavish began when (as the head coach of the Oilers) he ripped out Harvey's tongue during a game at the Saddledome. I, however, see this event as a good omen. In the history of superstitions, finding severed heads has a long track record of being a sign of good fortune. The Roman historian Pliny claims that a severed head was found during an excavation of the Temple of Jupiter in Rome. That temple was thereafter called Rome's "capital" (derived from the Latin word for "head"), and the shocking event was interpreted as a sign that Rome would lead the world. During the English Civil War (1642-51), in which members of England's parliament took arms against King Charles I over his supposed tyranny, Oliver Cromwell and his supporters resolved that the captured king should be executed for treason. To defend Cromwell's decision to behead Charles I, the poet and statesman Andrew Marvell wrote an ode that (by drawing on the story from Pliny) interpreted the king's execution as a favourable omen for England, which had been re-founded as a republic. Great nations, it seems, begin with grisly and unwanted incursions with severed heads. Alas, poor Harvey. I knew him, Horatio. A fellow of infinite jest, of most excellent fancy. He hath born the faintly flickering Flames on his back a thousand times. Here hung the tongue that wagged at many an opponent. Where be your gibes now? your shirt-gun? your drum? your daring walks along the ledge that made the crowds gasp and roar? Being submerged is an unpleasantly ironic way for Harvey to spend his pearl anniversary as part of the Flames organization, but it does offer some hope. For those looking for a silver lining behind the discovery of Harvey's head, I recommend taking it as a sign that the Flames will soon establish an NHL dynasty that will dominate the league for a time somewhere between the duration of the Roman Empire and the shortly-lived Commonwealth of England (1649-1660). Even if their dominance lasts for only a decade, it will still be the longest-tenured dynasty in NHL history. If the Hitmen and Roughnecks similarly establish dynasties in their leagues, then Calgary will emerge from this flood as a glorious city of champions.